Math teachers love math. Their number one objective is to instill in their students the joy of solving complex problems while learning that they can face and overcome challenges. Educators across the county aim to improve math education by changing the way both students and teachers think about math (NCTM, 2000). So how can teachers help students learn to love math? 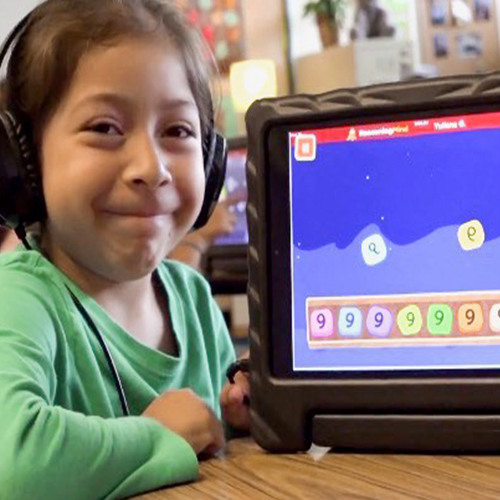 Here are some tips, based on research, on how teachers can help to install a joy of mathematics in students, whether they are early-learners or more advanced in their educational journey. Emphasize growth instead of being right or wrong. Celebrate students as they develop their mathematical thinking. Encourage students to share accomplishments with their peers. 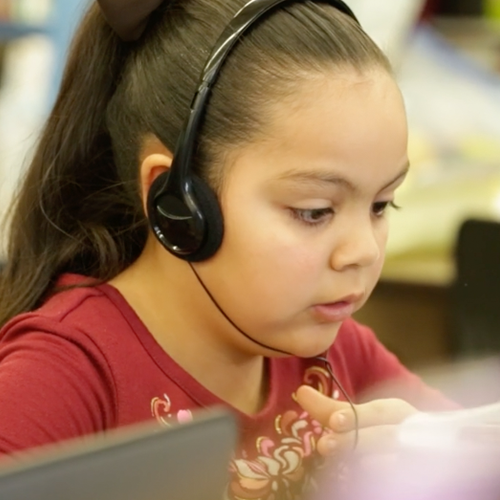 Incorporate engaging music, games, and interactive digital programs into instruction. Make math fun and interesting by using recreational mathematics to motivate students, such as puzzles, board games, and manipulatives. For example, chess can teach students to strategize and calculate, while digital math programs like Blueprint can teach early-learners math-related skills while students have fun. Additionally, music can make a math lesson memorable and entertaining, whether a teacher incorporates the Pi Song to help students remember the digits in Pi or the class sings along to fun songs like The Hungry Crocodile. (O’Rourke, Haimovitz, Ballwebber, Dweck, & Popovic, Z., 2014). Relate math to the world around them. Students are much more invested in their learning when math concepts presented to them relate to real-life situations they are likely to face, such as how to save money for a desired item, counting down to a personally-exciting date on the calendar, or measuring the space in their bedroom for furniture. Ideally students will be intrinsically motivated to work hard and learn. But some students become less engaged regardless of the time and energy a teacher puts into presenting new material, often because they have had challenges learning math. Even the most reticent math student can become more excited when fun motivational tactics are incorporated into math learning. This can include anything from receiving a sticker for accomplishing a math-related activity or showing individual improvement, to earning a class party when the entire class completes a designated number of digital math lessons. Learn more about how Blueprint, Imagine Math and Imagine Math Facts can help your students love learning math. Buschman, L. (2003). Children who enjoy problem solving. Teaching Children Mathematics 9(9), 539-544. National Council of Teachers of Mathematics (NCTM). (2000). Principles and Standards for School Mathematics. Reston, Va.
Shindler, J. (2008). Transformative Classroom Management. Allyn Bacon Publishers, Boston, MA. Sun, K. L. (2018). Beyond rhetoric: Authentically supporting a growth mindset. Teaching Children Mathematics, 24(5), 280-284.